Young Mr. Lincoln (1939), starring Henry Fonda, is one of the 1001 classic movies you should see. Each Monday, I'm going to recommend a classic movie you should see (for the reasons behind the 1001 series and reviews of earlier films covered go here). In honor of the Presidential election on Nov. 8, this month's selection will focus on film portrayals of U.S. commanders in chief. 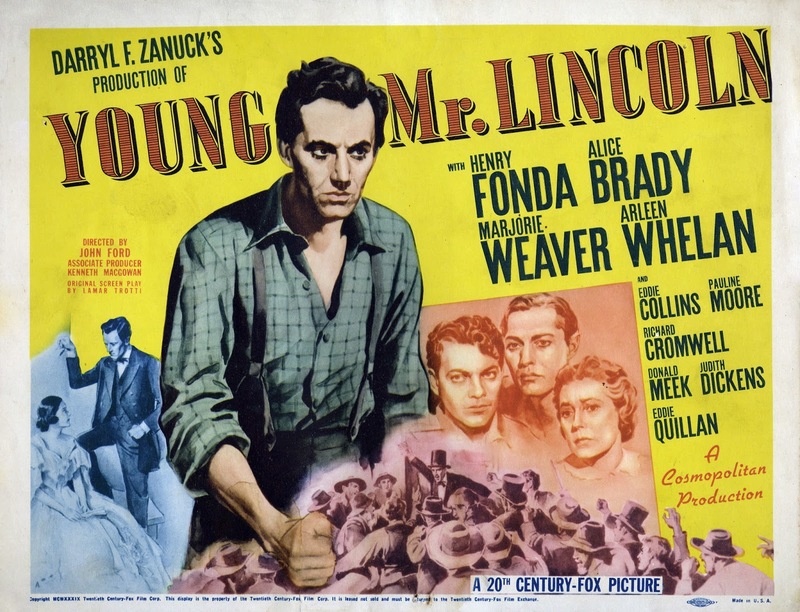 First up is director John Ford's biopic, Young Mr. Lincoln (1939), starring Henry Fonda as the 16th President. 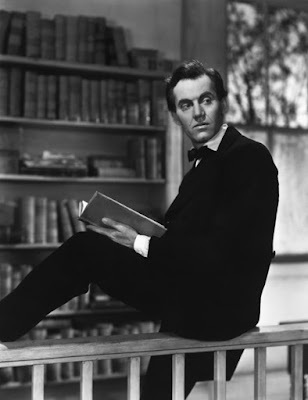 Young Mr. Lincoln begins when Abraham Lincoln is a humble store clerk in New Salem, Ill., who decides to become a lawyer after his sweetheart, Ann Rutledge (Pauline Moore), unexpectedly dies. Lincoln sets up a small practice in the frontier town of Springfield, where he busies himself with solving minor disputes and courting Mary Todd (Marjorie Weaver) until he takes on the case of two young men (Richard Cromwell and Eddie Quillan) who are falsely accused of murder. 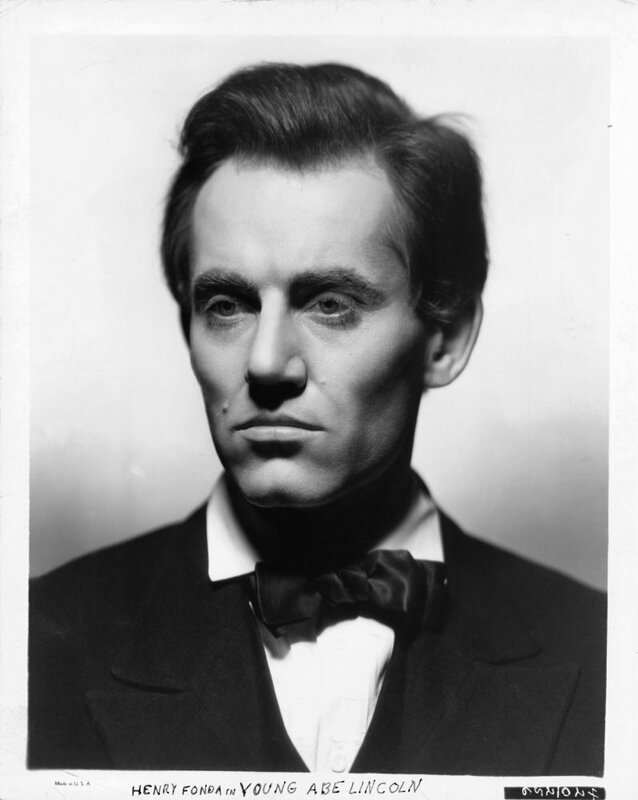 Lamar Trotti wrote the original screenplay for Young Mr. Lincoln in 1935 as a vehicle for Fonda and Loretta Young, but 20th Century Fox executives shelved the idea because they didn't think a historical biopic had much box-office appeal. However, after Robert Sherwood's Pulitzer Prize winning play Abe Lincoln of Illinois became a Broadway sensation (it was made into a 1940 movie starring Raymond Massey), Fox chief Darryl Zanuck handed Trotti's script to Ford for what became a critical and box-office success. Ford and Fonda's portrait of the future President is very much in keeping with old Hollywood's treatment of Lincoln's life and legacy. Lincoln was often mythologized as a secular saint, whether he was comforting Shirley Temple in The Littlest Rebel (1935) or being used as a source of inspiration for James Stewart's fight against corruption in Mr. Smith Goes to Washington (1939). In many ways, Fonda portrays Lincoln as a less naive version of Jefferson Smith. His aw-shucks demeanor often causes people to underestimate him, but his powerful gifts of persuasion can single-handedly win a court case or quell a riot. 1. Fonda and Ford. 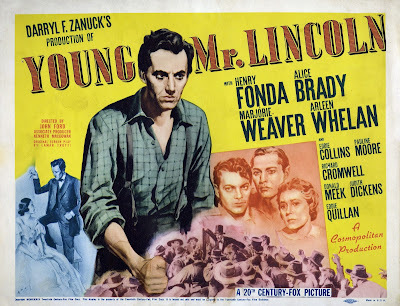 Young Mr. Lincoln was the first of nine films together for the director and star, who collaborated on such classics as The Grapes of Wrath (1940) and My Darling Clementine (1946). 2. Murder case. While there's a lot of Honest Abe fan fiction in Young Mr. Lincoln, the murder trial in the movie is similar to a memorable case in Lincoln's career. In 1858, Lincoln successfully used a Farmer's Almanac to defend William "Duff" Armstrong against a charge that he beat a man to death (go here for more details). 3. Alice Brady. The actress joins Jane Darwell in The Grapes of Wrath and Sara Allgood in How Green Was My Valley in Ford's gallery of indomitable matriarchs. Brady gives a quietly effective performance as the mother of the two young men accused of murder. 4 Americana. Ford's sentimental vision of the country's past is captured in Young Mr. Lincoln's boisterous Fourth of July celebration, which includes such bygone pastimes as tug of war contests and tar-barrel bonfires. A portrait of Henry Fonda as Abraham Lincoln. Other critics: Young Mr. Lincoln has an 100 percent fresh rating at Rotten Tomatoes and Leonard Maltin calls the film "not so much a historical document as a slice of Americana, reflecting sensibilities of director Ford and screenwriter Lamar Trotti" in a three and 1\2 star review for his Classic Movie Guide. Critics in 1939 mostly praised the movie. Frank S. Nugent of The New York Times lauded Fonda's performance, writing that "Nature gave Mr. Fonda long legs and arms, a strong and honest face and a slow smile; the make-up man added a new nose bridge, the lank brown hair, the frock coat and stove-pipe hat (the beard hadn't begun to sprout in those days) and the trace of a mole. Mr. Fonda supplied the rest—the warmth and kindliness, the pleasant modesty, the courage, resolution, tenderness, shrewdness and wit that Lincoln, even young Mr. Lincoln, must have possessed. His performance kindles the film, makes it a moving unity, at once gentle and quizzically comic." The bottom line: If you want to learn about the real Abraham Lincoln head out to your local library, but if you're longing for an old Hollywood movie with an iconic Fonda performance and the nostalgic melancholy that imbues all of Ford's films, then check out Young Mr. Lincoln for an election night, or any night, treat. Availability: Young Mr. Lincoln is available for streaming on Netflix Instant. It is also available on DVD and video on demand. Next week, I'll continue the theme of movies about American Presidents with Cary Grant searching for a McGuffin on Mount Rushmore in director Alfred Hitchcock's thriller, North by Northwest (1959).